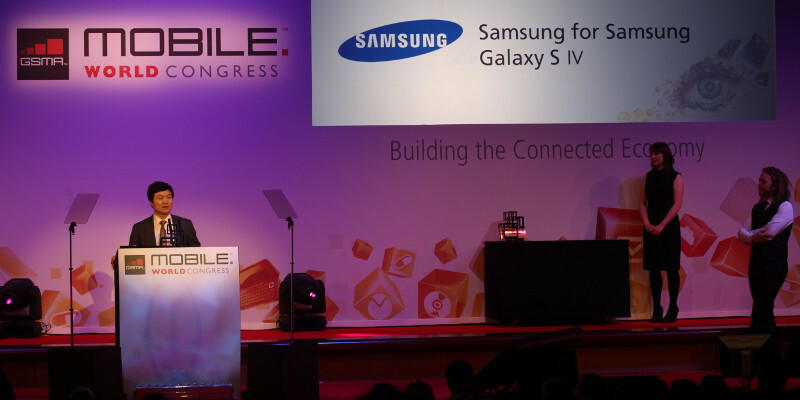 The new Samsung smartphone flagship will be unveiled in February, at next year's Mobile World Congress in Barcelona. The plan was announced just three days after the arch-rival Apple introduced the iPhone 5. Samsung is ready to unveil the next Galaxy smartphone -the Galaxy S4- at early next year’s mobile world congress (MWC) in the Spanish city of Barcelona. The S4 is perceived as a counter-attack from Samsung after a United States jury found the Korean firm copied key features of the iPhone and awarded Apple more then $1 billion in damages. From a customer perspective though, the question is: What real advantages will the S4 bring to the table that are not available already? I mean, if I'm after a 5" display smartphone I can get a Galaxy Note now. Will the Galaxy S4 come with a very distinctive Touch Wiz 6 ? Obviously, it is always nice to see the hardware improving at this pace, but I'd take a promptly OS update policy over upped specs anytime, thank you. So, what do you think? Will the S4 be introduced as early as February? 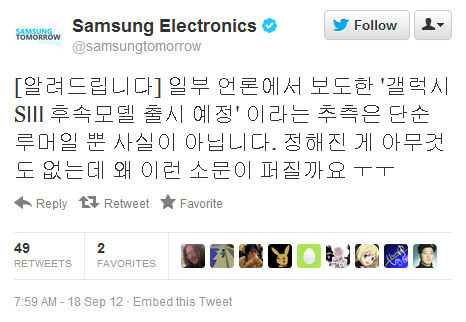 Is this tweet from Samsung an attempt to save the Galaxy S3 from the Osborne effect?